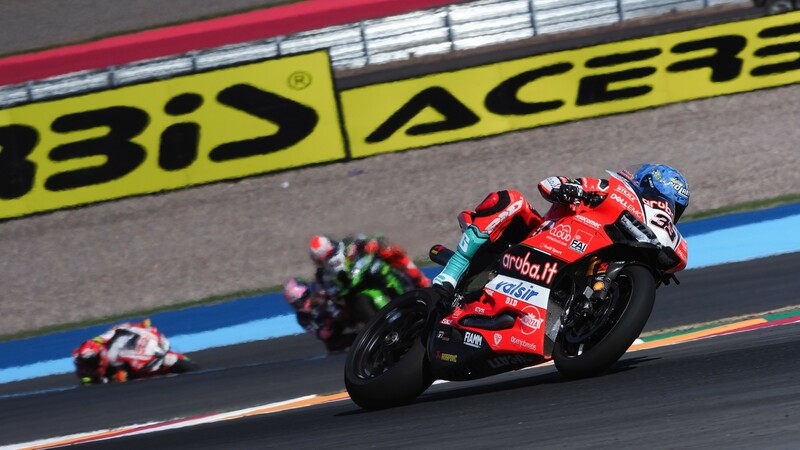 The second race of the weekend at the Circuito San Juan Villicum saw Marco Melandri (Aruba.it Racing – Ducati) taking back-to-back podiums, after claiming third position from seventh on the grid. It wasn’t all plain-sailing for the 36-year-old however, after an early race mistake cost him several positions. 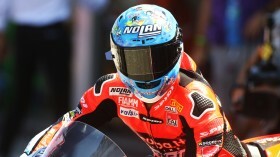 The Italian had been quick all weekend, and after a second-place finish in Saturday’s Race 1 it was clear that Melandri was set to be a podium contender on Sunday in his fiftieth race for Aruba.it Racing – Ducati. However, after running wide at Turn 7 in the opening laps, he lost several position and was forced to fight through the field by overtaking Lorenzo Savadori (Milwaukee Aprilia) and both Yamahas, before dicing with teammate Chaz Davies for third and eventually claiming the position. Despite the positive result, Melandri felt the race had both positive and negative aspects: “It was a good race today for me but I’m disappointed because I made a mistake at Turn 7, went wide and I had to come back to third position, meaning I had to pass Savadori, the two Yamahas and catch Chaz. Re-live all the action from the first ever Argentinian WorldSBK, all with the WorldSBK VideoPass. 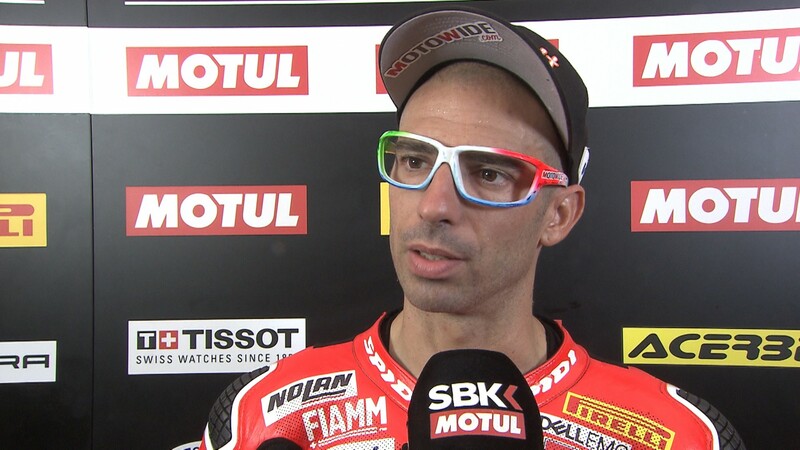 Melandri: "It’s always fun to discover unexplored places"
Melandri: "We tried to make the bike better but it got worse"
Melandri: "I have nothing to lose at Magny-Cours"